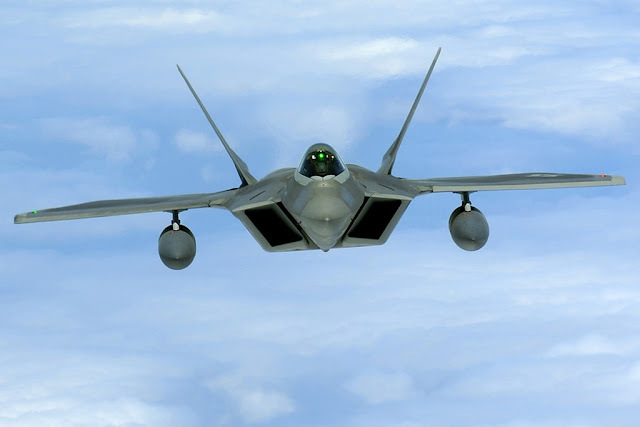 The first flight of the mighty fifth-generation fighter took place on September 7, 1997. The F-22 Combined Test Force held a ceremony Oct. 19 to commemorate the first flight of the F-22 Raptor. The first flight of the first F-22 aircraft took place Sept. 7, 1997. The fighter took off from Dobbins Air Reserve Base in Marietta, Georgia, with F-22 chief test pilot Paul Metz at the controls. The U.S. Air Force needed the F-22 as a solution to emerging threats of the Soviet Su-27 Flanker, MiG-29 Fulcrum and the Chinese Shenyang J-11 multi-role fighter aircraft, to maintain air superiority after the Cold War and into the future. The request was amended with the advancements in stealth technology and the ATF program was then charged with creating a fighter with the capabilities of speed, agility, electronic warfare and signal intelligence into a stealth airframe which could also provide precision long-rage air-to-air and air-to-ground weaponry. The U.S. Air Force selected the two proposals of contract teams Lockheed/Boeing/General Dynamics and Northrop/McDonnell Douglas, to produce prototypes for flight testing, the YF-22 and the YF-23. The Lockheed YF-22 was ultimately selected in 1991 with the first F-22A being delivered for flight testing in 1997.